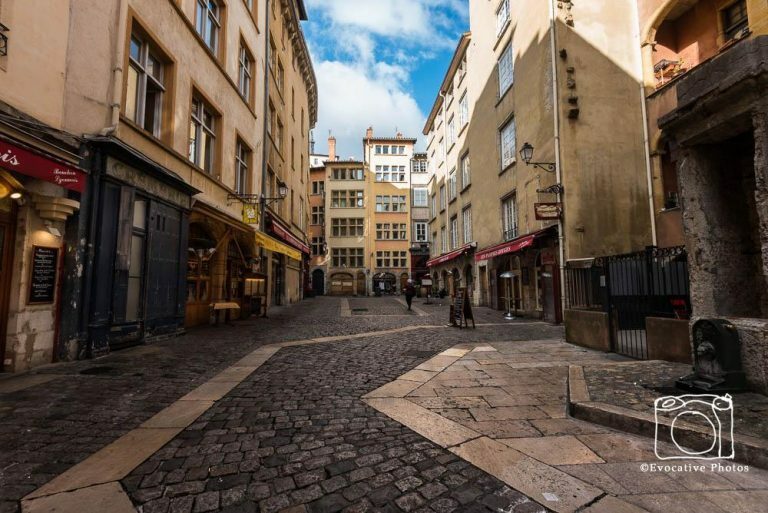 We spent a quick—too quick—couple of days in Lyon, France’s second largest city. According to Journal des Arts it is the second city for culture in France, coming in just behind Paris. The capital of the Lyon Metropolitan region, the city is a festival of museums, restaurants, cafes and historic architecture. 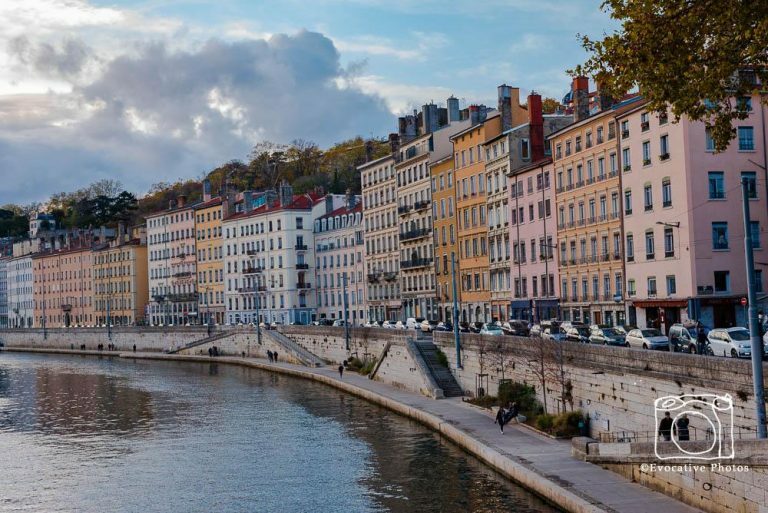 We stayed in Vieux Lyon—the Old City—where we had stunning views of the town and could easily make our through the old streets to do some sightseeing. A quick ride in a funicular and we arrived at the Basilica of Notre-Dame de Fourviere, which overlooked the city. Lyon, the gastronomical capital of France, is positioned between the Rhone and Saone Rivers, making it extraordinarily picturesque. In addition, Lyon is a college town. It is home to many well-regarded universities, and is ranked 34th in the world by students for desirability. If you travel to France, it’s well worth a visit. 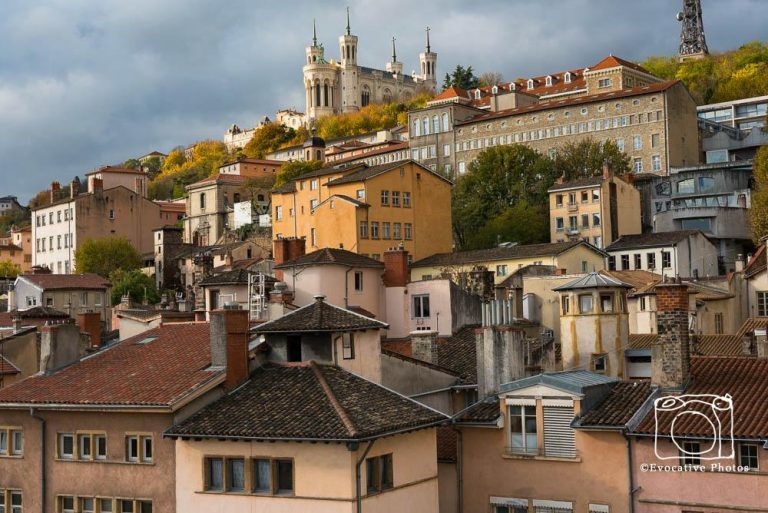 Lyon, France–November 6, 2017–Dwellings around the Old City section of Lyon. The Basilica of Notre-Dame de Fourviere is at the top of the hill. Editorial Use Only. Lyon, France — November 5, 2017 — People, cars and colorful buildings on the bank of the Saone River in Lyon, France. Editorial Use Only. Lyon, France–November 6, 2017–Shops and Restaurants clustered in the Old City section of Lyon. Editorial Use Only. 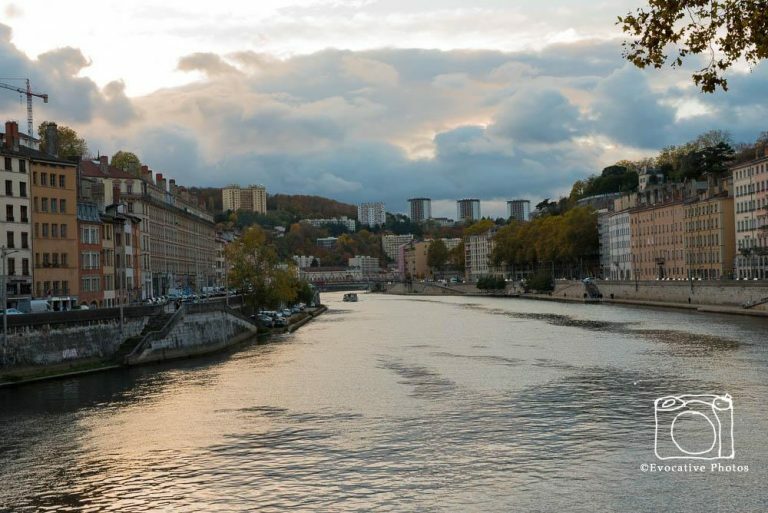 Looking down the Saone River in Lyon, France, at dusk.